The sales of mobile phones will continue to boom in the years to come and according to a recent statistic, is likely to reach 2.1 billion units by the year 2019. Everyone nowadays, from the poorest to the richest, doesn’t compromise on owning the best mobile phones available in the market. A mobile phone has become an integral part of our lives and we cannot go about our daily routine activities without it. From making phone calls to texting to reading your mail to watching the world’s breaking news, our mobile phones have become an accessory that we absolutely cannot do without. Since the sales of mobile phones all around the world show no signs of slowing down, it is likely that customers will demand better and higher performing applications on their mobile phones. Customers would expect mobile phone applications to become bigger, better, more robust and have superior levels of performance. B2C or business to customer services is a hot trend in today’s market and are becoming better and more efficient. There is an app out there for practically everything that a customer is looking for be it apps for social media and social networking, booking a cab, ordering food, internet banking, healthcare, weather forecasting, traveling, shopping, etc. Customers are looking to do everything on their mobile phones in the palm of their hands at the press of a button and don’t have time and energy to waste in today’s fast-paced world where time is money. So business entrepreneurs and mobile app developers are looking for more ways to meet customer’s needs and expectations and make their life easier. Enterprise mobile applications or apps for short are in high demand in the mobile app industry and invite bright and creative new ideas from potential mobile app developers. Customers are looking for apps with dynamic functioning capabilities and that can support different kinds of electronic devices. Therefore, it is important that mobile app developers use the right tools, technologies, and processes to develop an app that is high tech and complicated. 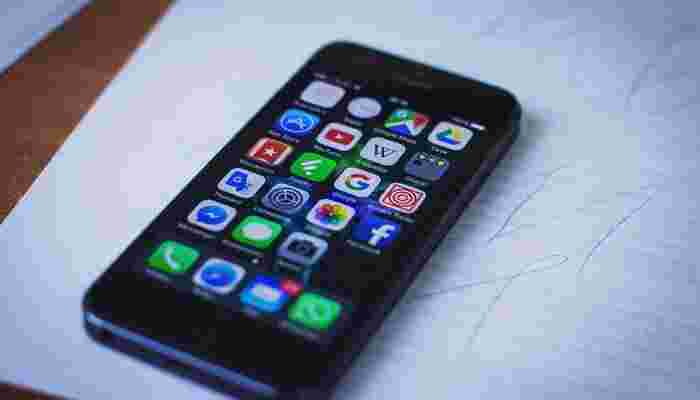 Plus, with the rising demand, it becomes even tougher for app developers to constantly come up with innovative mobile apps, develop and put them to use. 1. The purpose of the app – The mobile app developer must be very clear on the exact purpose of the app and perform a thorough research in the market to find out whether this app will have high utility or not. He must be clear on the features of the app and find out what customers need/want from the app. The developer must list out the features of the app clearly with the final objectives before commencing the app development instead of adding/removing features randomly during the development of the app. 2. Have a plan and strategy – Mobile app developers need to have a clear plan and must strategize it well in order to meet the mobile app demands of the public. This involves planning of using the correct techniques and tools, resources and the proper allocation of these resources depending upon the budget fixed for the app. It is important for the mobile app developer to choose the right mobile platform technology for the development of his app. The priorities of the app need to be set in place based on the market demand, business needs, and resources available. Mobility platforms are changing and evolving rapidly so it is important to choose the right mobile platform technology. 3. Have a development platform – Technology trends keep changing every day so a particular platform can become outdated in no time. Without changing trends, technologies and platforms, it is impossible to update apps and upgrade them according to the changes in trends and technological platforms. Invest in a good mobile development platform that is scalable so that it doesn’t lead to revenue loss in the future. Mobile app developers must always choose a development platform that is able to optimize the testing and development efforts and create a strong mobile app enterprise that is upgradable, changeable and sustainable with the change in time. So if you are planning to start a mobile app soon, follow these few fundamentals to ensure a strong startup for your mobile app enterprise.